Having a pet is like having a family. This is especially true for people who live alone. If you have lost a pet or someone you know does, creating a pet memorial card is a good thing to do. But if you do not have the time to design and create one, it would be a better idea to just go for a template. 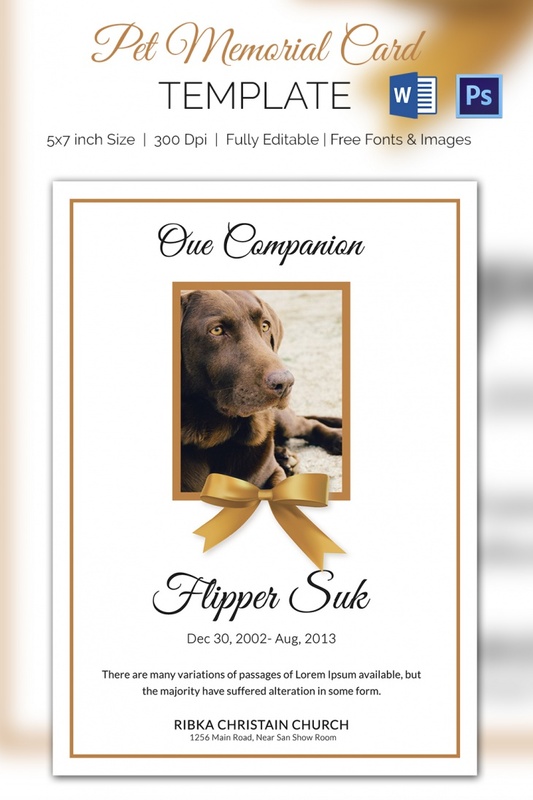 This pet memorial card is done in white and gold. The space for the image is framed in golden rectangle and accented with a golden ribbon at the bottom. The heading, pet name and the rest of the details are done in black. 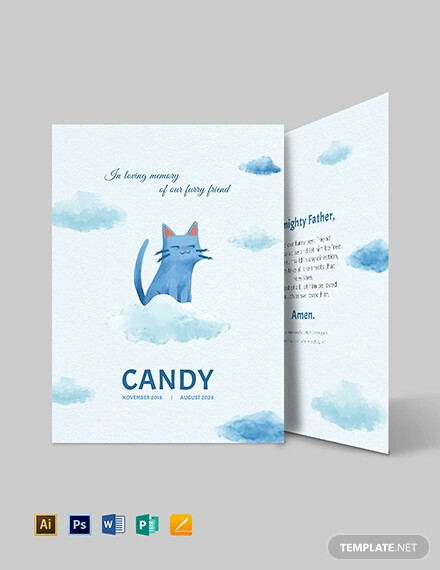 A pet who has lived a great life deserves a nicely designed memorial card like this one. 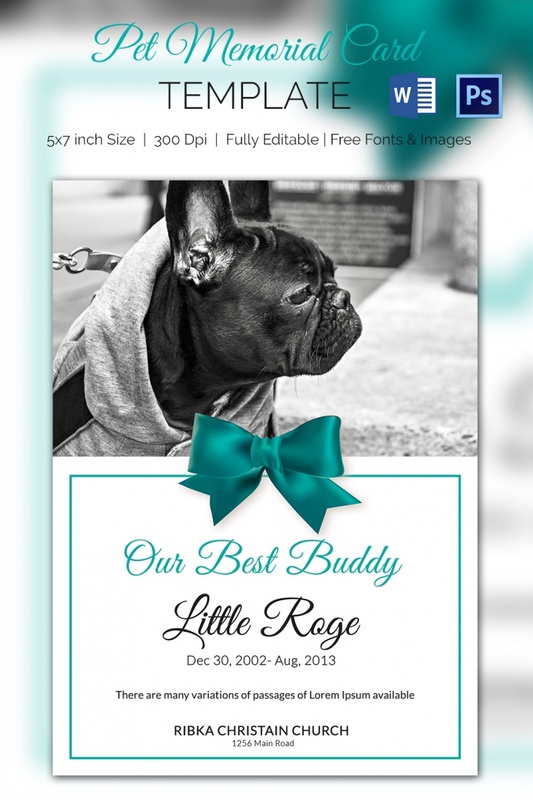 The top half of the card is reserved for the pet image and the bottom half has the details – name of the pet, significant dates and other information. Your best buddy deserves only the best sent off celebration. One of the best things that you can do is to send him off with a pet memorial card that has his image and details. This template allows you to replace the image with that of your own pet and edit text with the right details. 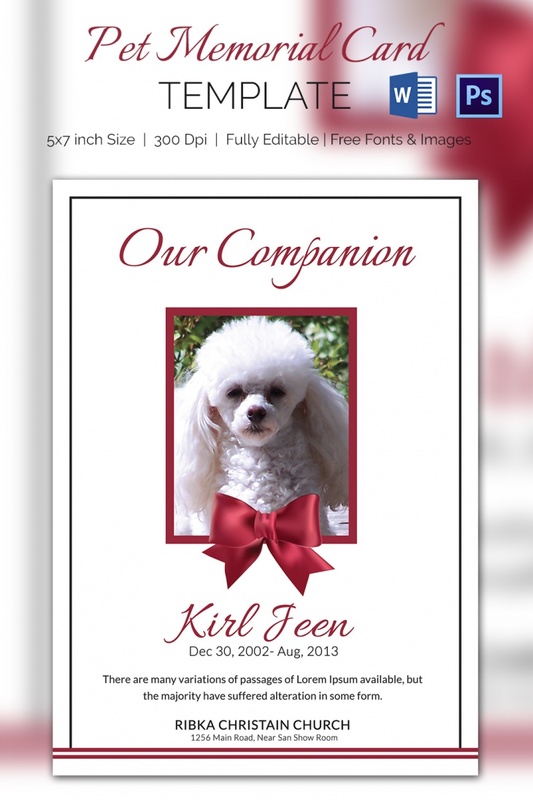 This cute pet memorial card template is ideal for a female pet. Red is used for accents (heading and name texts, image frame and ribbon). The rest of the details are done in black. 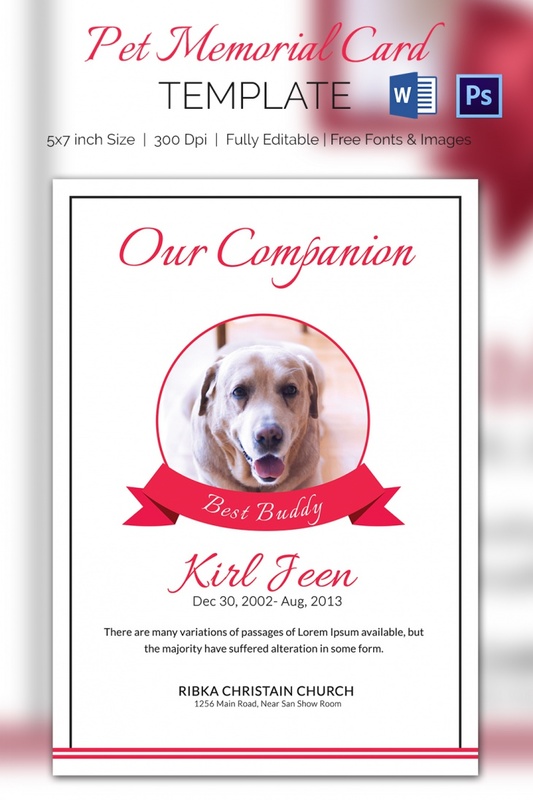 This pet memorial card template is designed with a circular image frame in red and finished off with a red ribbon at the bottom. If you want to send off your pet with a bang as an acknowledgment for the good life they shared with you, you should provide a pet memorial card. 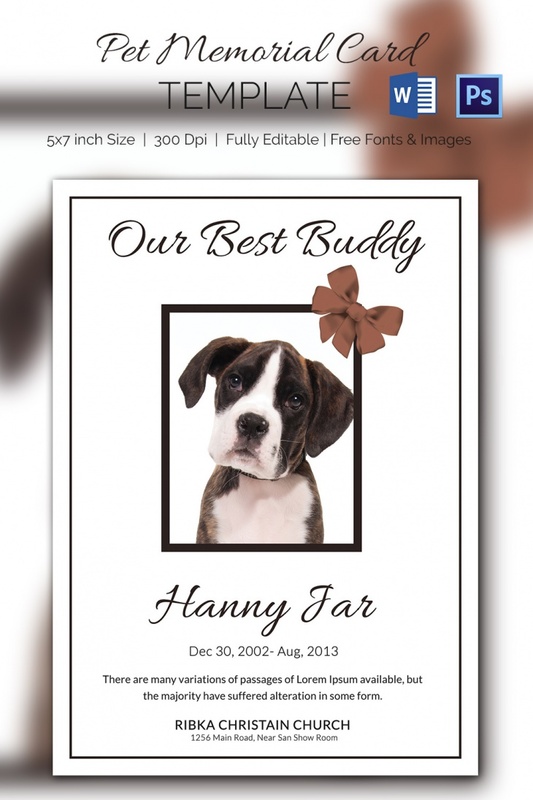 This is an easy task if you will just go for an easy to edit and ready to use pet memorial card template.